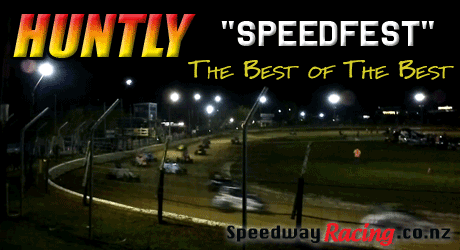 Huntly “SPEEDFEST” – The best of the best! See the best of the best compete in Huntly at the much anticipated “SPEEDFEST” speedway event on Thursday 11th of April. The 2013 SPEEDFEST is coming to Huntly Placemakers Speedway on Thursday 11th April. Classes include Superstocks, Supersaloons, Sprintcars, Midgets, Stockcars, and Saloons! You also won’t want to miss the Stockcar Teams Ross Orr Memorial, where the Waikato Raiders take on the Rotorua Rascals. Tickets: $25.00 Adults, $55.00 Family.